We can critique ideas constructively without resorting to rudeness or insults. After all, it’s vigorous discussion that built America . . . whether it is a discussion about the Presidential election or show whites. Our forefathers felt so strongly about the importance of idea exchange that it was one of the first rights they declared in our constitution. Nothing changes unless people are willing to speak up, share their opinion, or challenge tradition. Two weeks ago, my blog post about show whites was published here in the Hoard’s Dairyman Notebook. I figured the “Four reasons why show whites need to go” post would generate discussion, because it challenged a long-standing tradition in showing dairy cattle. I didn’t expect my fellow dairy farmers to respond so rudely or for them to insult me personally. I read through all of the hundreds of comments about the post. Most dairy farmers and dairy exhibitors who commented did so respectfully, even if they disagreed. Many offered thoughtful suggestions about a compromise between wearing white and my suggestion of wearing black – like wearing khaki pants or blue jeans. 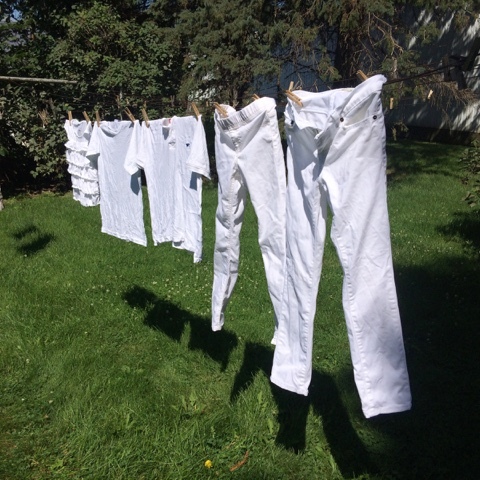 There were some dairy farmers, however, who apparently feel so strongly about continuing to wear white show clothes that they were compelled to respond with insults and rude comments. They turned what could have been a constructive conversation into destructive disrespect. I find it sad when a person can't express their opinion without having certain people hurl insults and rude comments their way...it's human nature to disagree but how you do it is another story.